Most of the time these stories consisted of him rehashing what I had done that day- only in chicken land. A while ago I wrote this Chickie story for the boys based on the last year of parenting and raising chickens. If you have kids who will sit for it- I would love to know what they think! 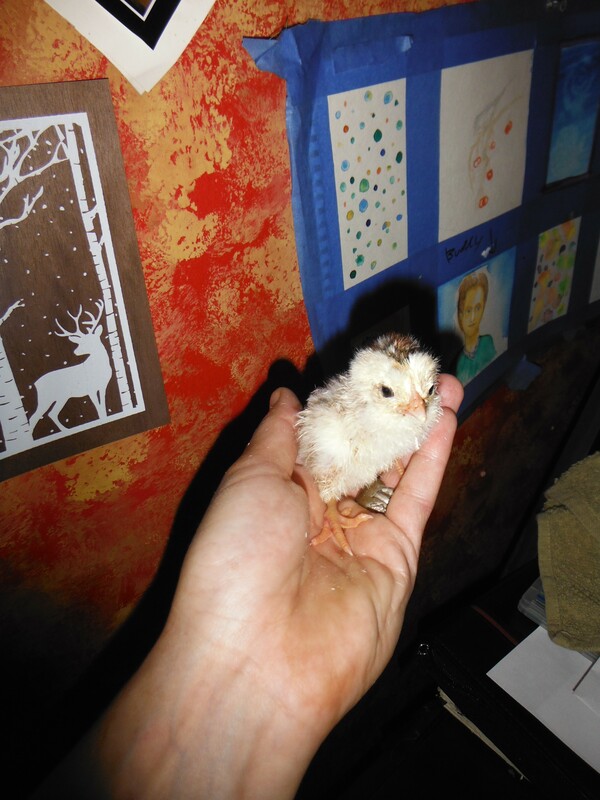 Chickie was the last born chick of the spring on a small farm in Maine. She was smart but smaller than all her clutch mates by half. One July morning, when the youngest farm boy was changing the water in the coop the most beautiful blue marble dropped out of his pocket and was left behind. Now chicken are curios animals but they are also very cautious fowl, things that are new and different are always looked at with suspicion. The largest chick, Brutus was the first to spot it in the hay and alerted the other chicks. “THING! THING! THING!! !” he squawked. All the chicks assembled to inspect his foreign object. The next largest chick, Livvy built up the courage to poke the smooth blue thing with a stick she found. She poked and everyone took cover. The wise old rooster noticed what his chicks were doing and walked over chuckling. “OHHHHH” the chicks all chorused back in amazement, Mr. Rooster knew EVERYTHING! Chickie spoke up. “Can we keep with it? “What are we going to play? !” Livvy asked. “Lets play keep away!” Brutus decided. “Yah but it’s fun! And you are the only one who can’t keep up, we can’t just play hatchling games all day.” Chirped Abby. “I’M NOT A HATCHLING!! !” Chickie squeaked in her best mother hen voice but all they did was laugh and run off with the marble. Chickie trudged behind, “What a waste a summer day” she thought to herself. The rest of the day went pretty much the way she feared it would. All her brothers and sisters laughing and chasing and her left in the dust. The one time she got to touch the smooth round wonder was when everyone took a second to drink some water. It was hard and smooth and seemed to be shinning from the inside out! She was awestruck. She had never wanted anything more in her life than this doodad. When her sibling returned they started the game again but Chickie was having none of it. She took a deep breath and precede to throw the biggest fit in coop history. She cried at the top of her little lungs, flapped her wings till her beak turned red. And finally flipped on her back and stated flailing her feet wildly in the air. It was quite a show! “What in the name of earth worms is going on out here? !” Mama hen called as she walked over behind the coop. 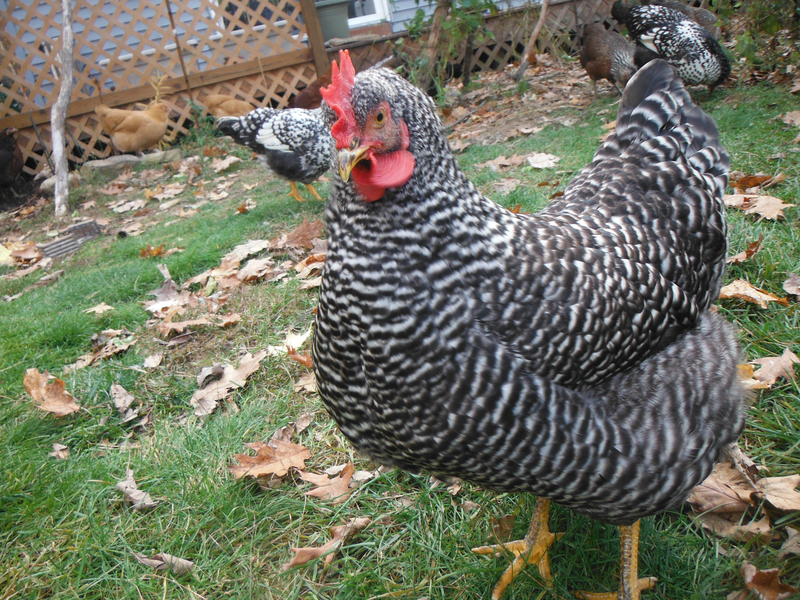 Barred rocks are one of the original breeds brought by settlers of the new world. “Is that true?” Mama asked the rest of the chicks. “Yes” they chirped back quietly. For a moment Chickie was the happiest chicken in all the farm. Until that was she looked up and saw the looks on her siblings’ faces. They all turned around and walked to the other end of the yard. “Lets see who can jump the highest in the tall grass” proposed Abby and they all skittered off toward the far end of the yard. She tried to play keep away with herself but she always got it. She tired to see how far she could kick it but that only lasted till she chipped a nail. So she slowly rolled it around the yard till she got to the fence that bordered the chicken yard and the horse corral and there she sat. 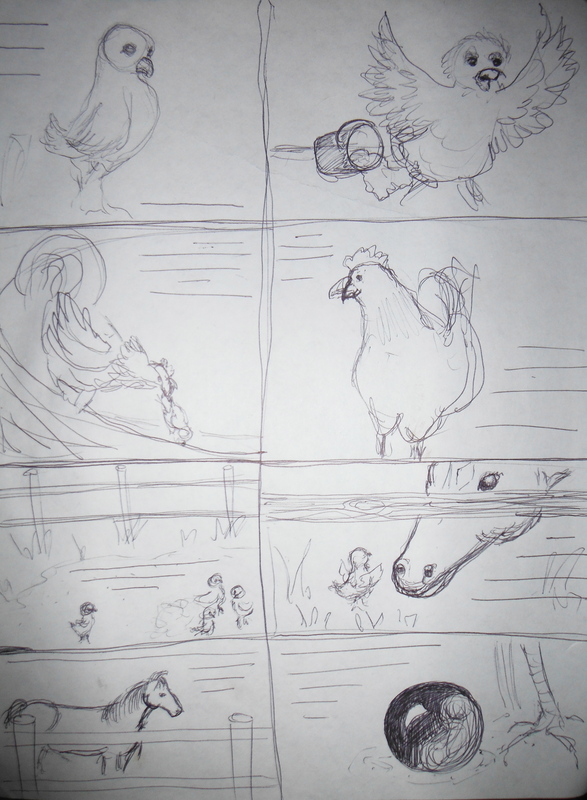 The ground began to thunder under her tail feathers and Dusty Duke the draft horse came sidling up to her. Chickie looked down at her feet and scratched the loose gravel. “I NEEDED it.” she said quietly, a little ashamed now at how she had received the treasure. “Yes! Well I mean, I guess” She could hear the other chicks playing at the other end of the yard. Happy without the doodad and worse still, happy without her. She felt very sad all of a sudden. “Hah? I do not get that!” She sassed. Come here and I will tell you. “DEAL!” They all shouted in unison. “That sounds like a ton of fun!” said Abby. “It’s no big deal” Said chick blushing a little through her feathers. They played till the sun went down and by the time everyone went to roost they were as exhausted as any of them could remember being. “Thank you!” She yelled and hugged her biggest brother hard. 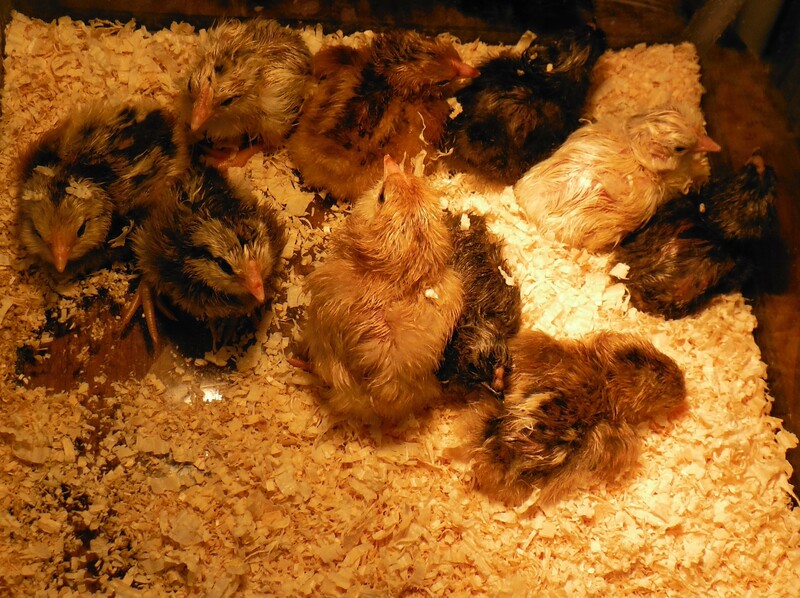 The other chicks joined them and they fell asleep in record time. Chickie in the middle as always but somehow happier than she had ever been.